Our company was established in 2007 and operates in 2 territories. We are an independent UK deer stalking company, specialising in professional bespoke one to one or group deer stalking of Roe, Fallow or Muntjac deer. We give exclusive access to some of the finest British countryside, offering three separate UK destinations where there is always a good variety of cull and trophy deer species. 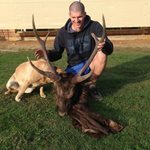 I am a professionally qualified and highly skilled rifleman and deer stalker, have been an independent, international Professional Hunter and outfitter since 1999. I now specialise in professional deer stalking, accompanying clients of all abilities in some of England’s most beautiful countryside. Our estates are organic farms; therefore we have a very high flora and fauna diversity. The hectares are split into circa 800 ha of mixed woodland and 2700 ha of undulating, farmed land. Our hunting areas are near the towns of Burford in Oxfordshire (famous for its 15th century architecture, antique shops, Wildlife Park and fishing) and Bucklebury in Royal Berkshire. Due to the site of our hunting areas, the clients are spoilt for choice for accommodation. We are able to offer on-site camping at the height of the summer, B&B’s right through to 5 star luxury hotels. Restaurants, pubs and bars are also plentiful. Airports transfer services are available upon request. No deposit will be refunded if client cancels a hunt within 28 days of scheduled start date. Centrefire Ammunition - £60.00 per box of 20 rounds or £3.00 per round. 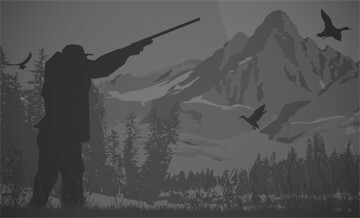 Gun permits - £150.00 per person. All animals killed or wounded and lost must be paid for. Excellent two days of action packed stalking. From the original communications to the farewell, Oliver was a professional guide, superb host and great company. 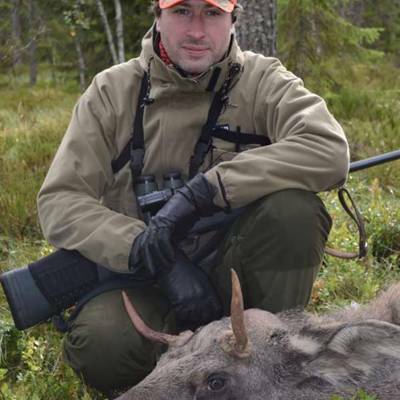 I booked two days with Tusk and Antler as the location and price looked ideal: as someone who is new to hunting this year (a few stalks, just done DSC1) I wanted to gain some experience on a few stalks over two days. This trip delivered everything I hoped for and some things I hadn't even considered. The woodland location was beautiful; seeing the sunrise on the second day as we stalked across the lightly frosted ground, listening to the barks of muntjac was an incredible experience. Since zero'ing the rifle on the first morning we'd seen plenty of deer - roe and muntjac with some wonderful roe bucks (out of season of course) within 50 yards. We had many encounters with deer which was what I was hoping for; the chance to watch them through binoculars, by eye, to hear them, and observe their behaviour. Oliver was superb at getting us to the deer, and just as importantly for me, explaining the process behind it. As the second day was drawing to a close I had yet to connect with a deer but after my excitement on day one I was already reflecting on the great experiences I'd had so far, and that if I went home without a deer I was already happy to have had the chance to see and hear so much, and to practise stalking up to deer on several occasions. The learning outcome was already invaluable. However, as the sun was preparing to slip behind the hills Oliver suggested one more stake out in the woods. We set up in a promising looking ride to patiently wait for a roe doe that might come out before sunset. Twenty minutes later, nothing. Then some movement, and a lovey doe stepped out into the ride. Broadside on, maybe just 60-70 yards out, I made the shot and was delighted to see her drop right away. I really liked the efficient field graloch demonstrated by Oliver, which lead to an interesting chat about keeping it simple. I now had a fantastic conditioned deer for the freezer which I had hoped for but of course you can't guarantee; so yes you could say I was over the moon! This was an action packed couple of days. The location was ideal - plenty of deer, but Oliver's knowledge and fieldcraft, and professional approach but with plenty of good chatter really made this a special experience. There wasn't one moment of this experience when I wasn't having a good time. Loved the service and the quality of the hunt, Oliver knows the train and the animal. Despite the unpredictability of the weather he made it happened, my family and travel and hunt all over and if you looking for a fantastic area to visit with hospitable people and great guide this the one, looking for the next one with Oliver. Knowledgeable, safe and on the ball guide to the area, picked out solid locations and made the whole experience smooth and professional. I have hunted with ESC on many occasions. The host knows the ground well and knows how the deer behave throughout the year and in varying weather conditions. On every occasion my host has found trophy grade animals during the hunt and often more than one during a morning and evening.